I’ve been a fan of aromatherapy since I learned about essential oils in a workshop at my local yoga studio awhile back. I’d been using scented candles and those plug-in air fresheners to keep my home smelling good, but I wasn’t comfortable with the ingredients in those products. Aromatherapy with pure essential oils soon replaced my candles and air fresheners. The benefits turned out to be more than I expected, especially when I discovered uplifting essential oils. Diffusing essential oils does more than keep my home smelling great. Each oil has specific properties as well. I learned that aromas travel through the capillaries in our sinuses and trigger nerves that send direct signals to the brain. Many of these signals have to do with emotions. A number of uplifting essential oils can boost mood and even alleviate depression. And you can go a step further to target specific kinds of depression. For example, do you tend to feel tired when you’re feeling down? You can lift both your mood and your energy level with geranium, lavender, peppermint, basil, or rosemary. Anxiety can be calmed with clary sage, frankincense, patchouli, ylang ylang, or chamomile. Diffuse them. Place a few drops in a room diffuser and the aroma will last for hours. There are many types of room diffusers on the market. You can also make your own aromatherapy reed diffuser. Bathe in them. Add your favorite oil to warm bath water and soak your way to good mood. Scented water is extremely relaxing and very therapeutic. Use them in lotions or bath products. You can make aromatherapy products yourself by adding essential oils to unscented bath products, or you can buy them already made. Spray them in your room or car. Essential oils can be added to pure water in a spray bottle and sprayed anywhere to instantly fill your space with pleasing aromas. Sleep with them. Put a few drops of essential oil on a tissue or piece of cotton that you slip under your pillow case. You can even put a drop of relaxing oil inside each nostril at bedtime. If you choose the latter, make sure to use oils that won’t irritate your skin. The labels on most essential oil bottles will tell you if you can use them directly on skin. Use them for a relaxing massage. You can add essential oils to unscented massage oil. Another option is to buy aromatherapy massage oils infused with essential oils. Once you discover the benefits of aromatherapy with essential oils, you may wonder how you ever lived without it! There are times when I feel really stressed. I know; it happens to everyone, even those of us with a generally calm demeanor. Life has a way of throwing a lot of little challenges at us, and unfortunately, sometimes some bigger ones. Stress can add up, so managing it in small doses before symptoms spiral out of control is a smart thing to do. With the holidays approaching, stress is an especially timely topic. People seem to get crazy around this time, but I don’t think it has to be this way. Some simple strategies can help you cope. Maybe you’re thinking that adding a stress management strategy to your routine is just one more thing to do. And your to-do list is what’s causing the stress to begin with, right? Remember this: A step in the right direction is better than taking no action at all. And once you take one step, you’re likely to take another. You don’t have to have a perfect plan that guarantees you will never feel stressed, but the more tools you have in place the better, even if you don’t use all of them all of the time. So what are some simple ways to manage stress effectively (without a trip to your doctor for a prescription)? Different kinds of foods affect your body and your stress response in different ways. The trick to managing stress with nutrition is to choose foods that are calming, nourishing and soothing over those that will give you a jolt or make your blood sugar sore. Three simple nutrients to start with are vitamin B6, potassium, and magnesium. Vitamin B6 helps create serotonin, the “feel good” chemical that quickly gets depleted when you’re stressed. You can increase the amount of B6 in your diet by eating leafy greens, seeds, beans, egg yolks, and fish. Herbs that can help you stay calm include chamomile, valerian, passionflower, and lemon balm. There are capsules and tinctures you can take as supplements, or you can brew a nice cup of herbal tea. Be sure to choose a high quality product so you can truly experience the herb’s anti-stress properties. If you don’t exercise regularly, ask yourself why that’s the case. You will never regret finding time to get up and move your body. You don’t need to work out for an hour or spend a lot of money to do this. Ten minutes three times a day will do if that’s all the time you have. If you have time for a coffee or internet break, you have time for a quick, brisk walk, some light weight lifting, or simple stretching. If you do have more time, do more. Join a gym or sign up for tennis lessons. Or turn on some music and dance! Do whatever works for you as long as you’re moving. While yoga can come under the heading of exercise, it is really so much more. Combined with meditation, it’s the ultimate antidote to stress. The physical yoga postures help tone and strengthen the body and get blood flowing throughout your body, even to your brain, where you’ll need it to deal with all the things life throws your way. You can do all kinds of yoga, from the most passive, restorative poses, to all-out power yoga. Again, do whatever works for you. No matter what kind of physical yoga practice you choose, keep in mind one of the most important goals of yoga is to prepare your body for meditation. If you can cultivate a regular meditation practice, whether for 5 minutes, 30 minutes or even an hour or more each day, you’ll be amazed at what a powerful stress-management tool it is. And it doesn’t have to be a formal meditation practice. Even paying attention to how you’re breathing while you scurry about doing all those tasks can count as meditation. Did you know your brain processes emotions and scents in the same area? That’s why aromatherapy is so effective. So, if you want to feel calm, fill the air with relaxing aromas from high quality essential oils. Some pacifying scents include sandalwood, lavender, geranium, cedarwood, jasmine, and lemongrass. Use a diffuser, or add essential oils to bath water or unscented body lotion. Chances are at least one of the tools on this list will work for you, so why not start there? If you need more, try another. As you get more skilled at stress management and develop your own set of strategies, you’ll uncover the power of calm. A friend of mine is writing a graduate school admissions essay. You know the kind. You look at your life and explain why you want to get the degree or certification or credential in question. When he told me about the essay, we started talking about our values and how they align with what we do every day. I thought I knew my values, but I was surprised once I started listing them that I have more values than I realized. If someone had asked me how many values underlie the things I pursue or the way I behave, I might have said four or five. Of course, I saw an opportunity to write, so I started listing and describing my values. I came up with sixteen before I decided to stop (for now). After all, how much can I expect you to read! I try to align with my values with my work (writing or helping others write), my yoga practice, my spiritual life, and my relationships. I enjoy things that align with my values, like nature, animals, music, the arts in general, and baseball. I’m not exactly sure where baseball fits in, so I’ll put it with family. It’s a connection I’ve had with my dad since I was eight years old, and in the beginning of our relationship, my husband and I bonded over our love for the sport. I share my list not because I think you care what my values are, but because you may recognize something that resonates with you. If you want to share your list with me, I’d be honored! Spirituality – I value seeking and staying on the path to God or enlightenment (same thing in my mind). I’m not sure if spirituality is a value. Maybe faith in something greater than me is what I should call it. Or knowing who I truly am. I’m not sure how to explain this, even though it has been my primary value for as long as I can remember! Silence – I believe that except when we have something useful to say, it’s best to be silent. It’s in silence that we learn to recognize truth. Kindness – No one likes meanness. If you’re with people and you’re not helping them feel better about themselves, you’re better off being silent. That said, I recognize it’s not always meanness that prevents others from feeling good. Some people cannot accept kindness. They are the same people not likely to be kind. So, again, if your kindness is not received, be silent. The value of kindness is probably obvious. If you’re not sure what’s valuable about it, be still and notice what you feel next time someone is kind to you. Simplicity – I think the more we have and do, the more crowded our minds become and the lower our vibration becomes. If you’re a spiritual seeker, you know that vibrating at a higher frequency is the key to transcendence and enlightenment. So, I don’t want a lot of stuff or too many places to be or too many superficial relationships. I don’t want a house full of things or a closet full of clothes. I want the energy to flow, and that requires simplicity. Being organized – Clutter and chaos slow the flow of energy as well. I was born with the ability to organize, so maybe this is more of a trait than a value. It’s also another reason I value simplicity. It’s easier to keep things in order when you don’t have a lot of them! Discipline – Don’t put off until tomorrow what you can do today tends to be my motto. In my case, it might even be don’t put off until noon what you can do at 8 am. I know this makes me unusual, but it’s who I am. I’ve never been able to procrastinate. Listening – You will learn much more by listening than speaking. You will grow much more by listening than speaking. And interestingly, you will help more by listening than speaking. If you have ears to hear (as Jesus said), do so. Listen. Hear. Reflect. And then you will know what to do. Gratitude – If you want to be happy, be thankful. I learned about the power of gratitude gradually, mostly from my yoga teachers, who speak about it often. They do this for a good reason. Gratitude has the power to fill your life. The less you think you have, the more you’ll gain from being grateful. I’m serious. Following through – If I say I’ll do something, I do it. And I do it by the time I say I’ll do it. In my work, I never miss a deadline. Of course, because I value being reliable in that way, I’m also careful not to commit (or appear to commit) to things I’m not sure I can do. Learning – In the past, I would have said education. I come from a family of educators. I earned a master’s degree but didn’t think that was enough. I wanted a PhD. I now realize I wasted a lot of time in school meeting requirements when I could have been out there actually learning something. I don’t think I’ll ever stop wanting to learn. Integrity – Integrity is a kind of honesty that isn’t so much about conveying facts versus fiction but honesty in intention and staying true to my values when I make choices about what to do or what to say. Care of Creation – I try to value all of creation. It all deserves to be treated with awe and respect. This includes inanimate objects in my care, such as books, my home, and my yard. Helping others – This is certainly a value, but I mention it with a caveat. We often think helping others means bending over backwards to do everything for anyone who asks, even things that don’t align with our natural gifts. Our natural gifts are ours for a reason. We have them to serve. When we align with them, helping others comes naturally too. Animal rights – One of my favorite quotes is Gandhi’s quote about animals. The greatness of a nation and its moral progress can be judged by the way its animals are treated. The more I explore this idea, the more I see the truth in it. We can learn a lot about life from animals and a lot about compassion and kindness from people who treat them well. Unfortunately, we also learn a lot (mostly about greed and selfishness) from people who mistreat them. Family – Here, I expand the definition of family to anyone—whether related by blood or not—who you love and who loves you as close to unconditionally as humans are capable of and who is as committed to your well-being as you are to theirs. And by that definition, of course, biology is no guarantee that you are a family. Health of body, mind, and spirit – Here is another way my work aligns with my values. I should also say that my interest in health is mostly holistic. Mind, body, and spirit are intimately connected, and I’ve explored that from every angle for decades. Humor – Without a sense of humor, life would be much more boring and difficult than it needs to be. I sometimes think talented comedians do the most good in this world. Creativity – I don’t have a great way to explain why I value creativity, but if I value creation, then I guess it makes sense that I value creativity. I encourage you to think about your own values, and maybe make a list (be prepared for it to keep growing). If you do this, you may be surprised by how much bigger your life feels and how much more sense it makes. If you don’t feel that, it may be because you’re not living in alignment with what you value. And birds sing at the gentle break of dawn. And Woody Allen makes me laugh. Because I make people laugh. from a drive to Manhattan. And great painters have painted. Because I haven’t done those things yet. Because there are places and cultures and ideas. And so much hasn’t been discovered yet. And because people want to talk to me. And truth, knowledge and bliss. Because bits of frustration are the seeds of growth. Because a hug is not really a scary thing. And drums have a powerful sound. And pastels are beautiful colors. And there’s orange juice in oranges. After my mom passed away, I wondered: Can I still love her? After all, doesn’t love imply some type of action? Well, that depends. Is love a verb? As a child, I loved my mom by doing my chores, being a good girl, and doing my best to get along with my siblings. As an adult, I loved her through our conversations, trips to the mall when she didn’t want to go alone, and daily visits when she was ill.
No what can I do? Thinking about this led me to consider the question no one can really answer: What is love? The word is probably the most over-used, misused, and possibly meaningless word in our lexicon. Love is the opposite of fear. Love is extending oneself to nurturing one’s own or another person’s spiritual growth. Love is never having to say you’re sorry. I’m in love with my husband. Looking back over the list, I can see that some of the statements involve action (extending one’s self, deciding, setting someone free) while others are more states of being (God is love, or love is the opposite of fear). Still others involve feeling good in some way (about my husband or drinking coffee). In one case, it even feels bad (love hurts). Part of the problem in defining love comes from the fact that it’s not a concrete thing. I can’t define love—or describe it even—the way I can tell you about a tree or a candle flame. Is love an emotion? Is it a behavior? Is it a state of mind? Maybe we need more than one word for love. Or maybe we should forget about the word entirely. We do have more than one adjective to use with it, as in agape love, romantic love, Divine love, etc. In each of these cases, though, we assume the word love refers to the same thing. A definition of love that works well for me is love is the driving force that propels beings toward union with their source. So, for me, God is love, be love now, and love is the opposite of fear are the most useful descriptions. If I live in union with God, I become love, and I am no longer afraid. My behavior can change based on my ability to experience love. I can make decisions or extend myself or enjoy someone or something once I’m in tune with my true, higher Self. For a while, I had no idea why anyone would make a statement like “love is never having to say you’re sorry.” Then I realized the beloved, not the lover, was the one who needn’t apologize. Love means forgiving our loved ones when they act in ways that are not so loving. Love, like God really cannot be defined. No one knows for sure what it is, but most of us believe to some extent that it exists and that it matters. Maybe there are as many ways to love as there are ways to describe it. Rather than settling on a single definition of love, I think I’ll just work on getting better at it. In 1983, my dad took me to hear Handel’s Messiah at Carnegie Hall in New York City. It became a holiday tradition, and he and I have attended a performance of Handel’s masterpiece almost every year since. Many years, my mom came along as well, and when I met my husband, he also became part of the annual tradition. This year we weren’t sure we’d get there. My mom was very ill as the holidays approached, so we put off buying tickets. A few weeks after Mom went home to God, we decided we’d go ahead and attend the performance. I’m glad we did. Handel composed the music for Messiah in an astonishing 24 days. If you’ve heard it, you know what an awesome feat that was! I’ve never doubted, as many who love this music agree, that the composition was divinely inspired. A tuned-in listener can’t help but feel comforted, hopeful, and full of faith when experiencing Messiah. That same listener might also feel challenged in a way. It is, after all, the story of the life, death, and resurrection of Jesus Christ, beginning with the prophets foretelling the birth of a Savior. You’re probably familiar with at least a few of the choruses or arias (solos). Most people have heard the Hallelujah Chorus, for instance. And then, the magnificent aria. If you haven’t heard “The Trumpet Shall Sound”—or even if you have—take a few minutes to listen to it here. Then come back, and I’ll tell you my story. Did I Really See That So Clearly? As you might guess, the words were especially significant for me this year because we attended the performance only a month after my mom’s passing. And there’s just a little more to it than that. As a multi-focal contact lens wearer of a certain age, I’m rarely able to make out details of performer’s faces or instruments when I attend a concert. That was the case at Messiah…until the trumpet sounded. When the bass began to sing, I suddenly realized I could see him very clearly. I thought, Wow. Why can I see that so clearly? And then I thought about what I had just thought. Perhaps you think I’m grasping for meaning in a time of grief. Maybe I am, but that is what I experienced. The story of the resurrection—not just the resurrection of Jesus but the idea that we too shall be changed—is hopeful and awe-inspiring for many. Many others doubt it or flat-out reject it. But no matter where you stand on the matter, can you find a way to live in awe of mystery? Do you believe only what you can explain, or do you accept there is something more? Without belief and trust in what we cannot understand, we are small, pathetic creatures. But when we dare to take leaps of faith and connect with mystery—with the idea that there is a greater truth and a purpose for our existence—we embody the meaning of the Christmas season: The awesome became accessible to us if we choose to accept it. My mom loved to tell the story of a memory she had from when my nephew Matt was a toddler. Mom and my dad cared for Matt—in fact for all four of my sister’s kids—while my sister and brother-in-law were at work. She had a favorite memory for each of them. The night before my Mom passed away, Matt, now 19, had a dream about an owl. Or maybe about a dove. The next day, as our whole family sat with her during her final hours on Earth, my sister told Mom the dove would be our sign. “Send us a sign,” she whispered in Mom’s ear. Mom passed away peacefully with her husband, children, and older grandchildren by her side. We’re heartbroken, and as I write this, it’s hard to imagine the pain will go away. But I lean on the words of my dear friend who told me that despite the pain and stress, this experience would also bring us the key to a new kind of love. He is right. And that wasn’t all. Next to the dove was a giant cross. It followed our cars all the way from the church to the cemetery. Another sign, we’ve decided to believe, that Mom is okay and with God. Our Mom’s Christian faith was the cornerstone of her life along with her love for her family, friends, and students. So, it’s fitting she’d use the cross along with the dove as our sign. The days ahead will be difficult, but we choose to believe that not only is she with God, but that both she and God will always be with us. I like my home to be filled with pleasing aromas, but I’m wary of the ingredients in air fresheners, scented candles and other common items people use to mask odors in their homes. So, I was excited to come across an easy way to make homemade reed diffusers from pure essential oils! All you need is mineral oil, vodka, the essential oil (or oils) of your choice, a small vase, and some diffuser reeds, which you can buy in any craft store. Pour ¼ cup mineral oil and 2-3 tablespoons of vodka into the vase. Then add a 15-ml bottle of essential oil (or a total of 15 ml of the the oils you decide to blend). I chose geranium and lemongrass in mine. Stir everything with the reeds and then let it go to work. It’s that easy! You can flip the reeds every once in a while to diffuse the oil better. The fragrance you’ll enjoy will not comprise your health! In fact, it will probably improve it since essential oils have so many wonderful properties and benefits. Want Better Sleep? Here’s Help! I’m finding more and more information about the relationship between sleep and overall health. According to experts on the subject, people who sleep well live longer, live better, and have fewer chronic diseases. So what do you do if, like me, you find yourself wide awake at 3 am more often than you’d like? The general consensus is you should go to sleep at the same time each night and wake up at the same time in the morning (including your days off). Sleep experts seem to agree that 10 pm is the sleep “sweet spot.” Apparently, that’s because our bodies produce melatonin between 10 pm and 2 am, and we need melatonin to relax and get to sleep. Most of us need seven or eight hours of quality sleep each night. If you’re involved in some kind of stimulating activity just before 10 pm, chances are slim you’ll be sleeping during those prime melatonin-producing hours. So instead of watching TV, having a heated debate with a family member, or getting some work (or homework) done after 9 pm, try something relaxing instead. Doing a bit of restorative yoga, listening to calming music, and meditating are good things to try. This may seem obvious, but many of us do not do it. In order for your body to create melatonin, you need to sleep in as near to pitch black darkness as possible. That means the light from streetlights streaming through windows, glowing clocks, cell phones and nightlights or a television kept on while you’re trying to get to sleep no-nos. And it’s not just while you’re trying to fall asleep that you’ll need darkness if you want to sleep well. You’ll need it for at least two hours before you fall asleep. Of course, if you’re like most people, turning the TV or computer off before bed is not going to happen every night. But it turns out if you’re stubborn about flipping the TV off early, there are a couple of ways around it. If you’re going to watch TV or surf the net at night, wear sunglasses while you do it. I learned this seemingly odd tip from the Dr. Oz Show, tried it the next night, and to my pleasant surprise it actually did help! According to Dr. Oz, the sunglass remedy works because certain dark lenses block out the blue light that prevents the body from producing melatonin. Wear a sleep mask. (It’s a lot more comfortable than trying to sleep with your sunglasses on.) This may be the single best thing I ever added to my sleep routine. Credit for this tip goes to my brother! Herbs like chamomile and valerian root can also help improve sleep. You can take them in capsule form or drink a cup of tea containing calming herbal ingredients before you go to bed. (If you drink tea, brew it well and drink only a few ounces so you won’t wake up to go to the bathroom!) When I’m feeling sleep deprived or worried I’m going to have a restless night, I take valerian root capsules to help me stay relaxed. Aromatherapy works wonders for sleep-challenged folks. This simple practice is my favorite trick for getting a better night’s sleep. I’m in awe of the tools nature has provided in the essential oils of plants. Science has shown the aromas from essential oils have many remarkable properties. Oils that can calm the mind, relax the body, and promote sleep include lavender and ylang ylang, as well as blends created just for sleep. You can use aromatherapy oils in a diffuser that fills your bedroom with the scent through the night, or, if you don’t have a diffuser, simply dab some oil on a piece of cotton or even inside the rim of your lower nostrils. I’ve tried all these remedies, and they work for me most of the time (which is great, considering at one point I was lucky if I slept through the night once a week). If you have trouble sleeping and these or other natural solutions don’t work for you, it might be worth visiting your doctor to see if you have a more serious sleep disorder. I write a lot about herbal supplements, mostly for clients. Obviously I can’t try every supplement I write about, but one I have used myself is Valerian root. I use it for sleep, but I’m told it’s also good for stress and anxiety. Valerian is a perennial plant that has a long history of use as an herbal remedy. Ancient Greeks used it to treat digestive problems. Valerian has also been used for centuries as a nervous system tonic and a sleep aid. The active ingredients in Valerian root are valerenic acid and isovaleric acid, which is produced as the plant ages. Both compounds are volatile oils said to work by relaxing the central nervous system and promoting sleep. Double blind studies suggest Valerian root may decrease the amount of time it takes for people with mild insomnia to fall asleep. Valerian root is a sedative, so it is also used to treat anxiety and stress. Some people find it helpful for muscle aches and tension headaches because it acts as a muscle relaxant. Valerian root has few side effects. It doesn’t cause the grogginess you might get from a prescription sleep aid or even some over the counter remedies. You can take it in capsules, tablets, tinctures or liquid extracts. The maximum recommended intake of Valerian is 15 grams of plant material, which is usually about 15 to 20 drops of tincture several times daily or 450 to 500 mg of concentrated, standardized extract. Standardized extracts should contain between .5 % and 1% volatile oils. You can also make Valerian tea by steeping 1 teaspoon of the dried root in a cup of hot water for ten minutes. There are time-release formulas of Valerian you can use for a sustained feeling of relaxation throughout the day. 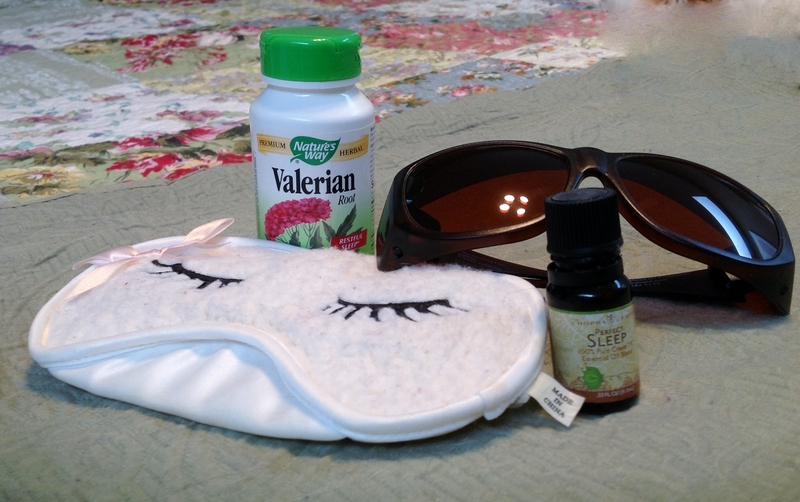 If you take Valerian for sleep, take it an hour or so before bedtime. Of course, you should use this herb conservatively. If you have serious anxiety or insomnia, you may need to talk to your doctor, especially if you’re already on any kind of prescription medication.